When Children Became People is an inquiry into one aspect of the cultural transformation brought about by the widespread acceptance of Christianity. As an historian, the author seeks to answer the following two questions: "What did early Christians think about children and about the nature of children?" and, "What did they say about the treatment of children, and how did they treat children de facto?" (p. 9). To answer these questions, Bakke carefully accumulates a range of primary sources from the first four centuries following the birth of Christ. His conclusion can be stated as follows: "Christian theology and ethics protected children's life in a way not found in the Greco-Roman world, and in this sense we can speak of Christianity as a ‘child-friendly' religion" (p. 260). It is worth noting, however, that Bakke's reasoning is nuanced: he also emphasizes the influence on their thought of the cultural milieu in which the patristic authors were educated. The greatest strength of the book is the frequent and sustained engagement with patristic thought itself, which leads to extensive quotations from these early Christian authors. On the other hand, one weakness of the book is that patristic sources are not placed in the context of the development of Christian doctrine. Lacking the concept of a (hierarchical) Church able to balance the divergent views or different emphases of the patristic authors, the presentation is somewhat scattered, with contradictory patristic statements left hanging in the air without deeper discussion. The remainder of this review will be structured based upon Bakke's concluding statement - "Christianity introduced new anthropological viewpoints, a new ethical evaluation, and new ideals for upbringing" (p. 286) - which points to three areas in which the acceptance of Christianity led to profound changes in the lives of children: anthropological, ethical, and pedagogical. The anthropological vision of childhood proposed by Christianity lay at the heart of the ethical and pedagogical transformations which were to follow. For Christians, the starting point for this anthropological vision lies in the words of Jesus himself ("unless you become like this child...") (Matt. 18:1-4). Bakke points out that here, in contrast to the Greco-Roman world, children are held up as "positive paradigms" for adults. Rather than functioning as negative examples for their "lack of reason, irrational behavioral patterns and attitudes, or childishness" (p. 54), children are treated as models for adults to emulate, thanks to certain other characteristic traits. As John Chrysostom writes, "The young child is not grieved at what we are grieved [sic. ], as at loss of money and such things as that, and he doth not rejoice again at what we rejoice, namely, at these temporal things, he is not eager about the beauty of persons. Therefore He said, ‘of such is the kingdom of Heaven': that by choice we should practice these things, which young children have by nature" (p. 79). What do the patristic authors identify as the qualities uniquely possessed by children? While Bakke does not find treatises devoted solely to this topic, a great deal of insight is available from texts which touch upon broader questions, such as Augustine's polemic against the Pelagians, or the discussion surrounding the proper inclusion of children in sacramental life. For example, in response to a question on infant baptism from a local bishop in the year 253, Cyprian (along with a council of 68 African bishops) writes, "What is lacking to him who has once been formed in the womb by the hands of God?... Whatever things have been made by God have been perfected by the work and majesty of God, the Maker." By having no sin of their own (in propria persona), yet sharing in the destiny of Adam, children receive the grace of God "more easily," since the "greatest sinners... when afterward they believe, [are] not prevented from baptism and grace." 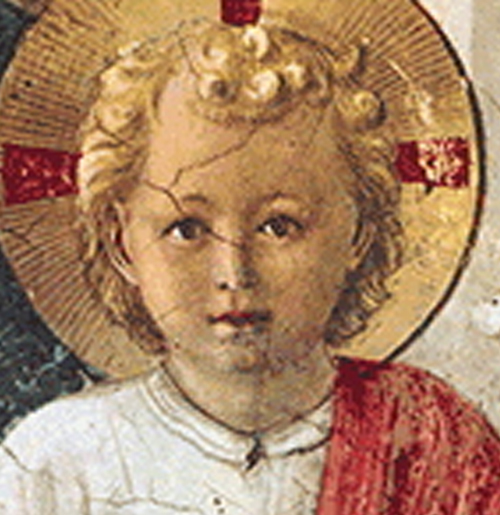 The qualities most often associated with children by the patristic sources surveyed are therefore innocence, lack of worldly passion, and closeness to the creative fatherhood of God - though as Cyprian concludes, "God himself does not make such distinction of person or of age, since he offers himself as a Father to all" (pp. 70-71). The novel ethical evaluation brought about by the acceptance of Christianity is best viewed through the lens of three concrete practices which radically affected the lives of children. These are abortion, exposure (abandoning unwanted infants in some remote location), and pederasty. As Bakke indicates, there is a difficulty in ascertaining, from this distance in time, the frequency with which children in antiquity were subjected to these forms of abuse. What is clear, however, is that before the widespread acceptance of Christianity these practices were commonly accepted in the Greco-Roman world. For example, it was only under Emperor Valentinian in 374 that legislation made exposure a crime. Bakke then surveys a wide range of material and finds - in contrast to the prevailing positions of the day - that abortion, exposure, and pederasty were all explicitly rejected by every patristic author encountered (p. 149). It would be difficult to overestimate the impact of this cultural shift on the lives of children in subsequent generations. Regarding Christian education, the New Testament itself speaks of the importance of educating children well, particularly when one is a leader in the Church (Titus 1:6-9; 1 Tim. 3:4). Bakke presents patristic sources, culminating in the work of St John Chrysostom, which discuss the task of shaping and inculturating Christian children. In contrast to the practice of wealthy Romans, who often left the care of their children to wet nurses and servants, Chrysostom urges the parents in his diocese of Constantinople to "Let everything take second place to our care for our children, our bringing them up in the discipline and instruction of the Lord.... ponder deeply how you can teach [your child] to think lightly of this life's passing glories; thus he will become truly renowned and glorious" (p. 163). What is at stake is the destiny of a human soul. After reviewing these sources, Bakke concludes that Christian material underscores more strongly than Greco-Roman texts the parents' responsibility to form their children to lead a virtuous life (p. 216). Bakke acknowledges a certain tension in early Christian thought regarding the contact of children with non-Christian cultural and intellectual influences. What is a Christian parent to do? Tertullian advises parents to avoid such influences entirely: "What indeed has Athens to do with Jerusalem?... We will have nothing to do with pagan literature and teaching, which is perverted in its best results" (p. 206). On the other hand, Clement of Alexandria finds it important to incorporate the good elements of Greek philosophy into Christian education, "for God is the cause of all good things." He goes on to write, "Philosophy, therefore, [is] a preparation, paving the way for him who is perfected in Christ" (p. 208). According to the sources which Bakke reviews, the challenge for Christian pupils in classical schools was to incorporate only what was good and useful, while rejecting everything that contradicted their faith - a task that presupposes a solid Christian foundation at home (p. 222). In the manner of an historian who seeks to let the patristic authors speak for themselves, Bakke presents their understanding of children as one significant manifestation of the novelty of the Christian faith. While sharing much with the Greco-Roman and Jewish world in which they lived, the early Christian authors introduced a transformation which would have fundamental consequences for the lives of children in generations to come. In proclaiming a Savior who entered the world as a child, Christianity awoke the human consciousness to the unique dignity of all children.